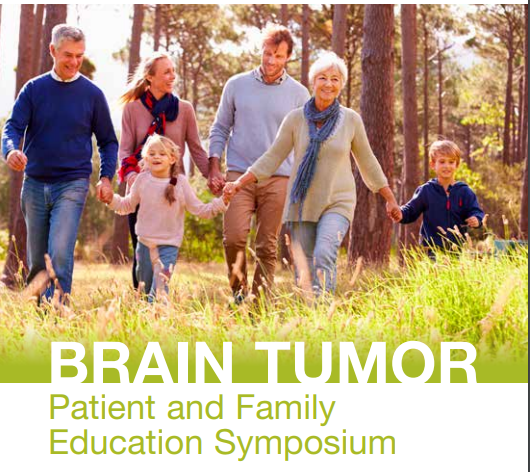 The Mayo Clinic Cancer Education Program in collaboration with Brains Together For a Cure is offering a patient education symposium focusing on current topics surrounding brain cancer. This education event is for patients, families, caregivers and the public. Keynote speaker Dr. Terri Armstrong from National Institutes of Health will be joining us from Bethesda, MD. She is a leading researcher on quality of life studies and symptom management for brain tumor patients. She will be talking about taking control of your journey and being your own best advocate. Mayo Clinic physicians and staff will be presenting on a variety of topics including treatment options, rehabilitation, coping strategies and more. The event will be held at Assisi Heights Spirituality Center in Rochester, MN on Saturday, April 27, 2019 from 8:15 a.m. – 3:15 p. m. Click here for a more detailed schedule and registration information. The Spring 2019 issue of the Mayo Clinic Cancer Center magazine, Forefront, has arrived. Features include brief news articles about Mayo Clinic Cancer Center research, video commentary from researchers, and investigator profiles. Click here to subscribe, read this newsletter edition or view any archives. The center’s new SPORE grant in hepatobiliary cancer reflects Mayo Clinic’s research excellence. Four research projects address the urgent need to improve diagnosis and treatment of liver cancer. Preclinical findings suggest innovative methods to reduce severe toxicity and boost response rates. The discoveries may help shed light on myeloma causes and improve treatment for African-Americans. Researchers hope the vaccine combined with trastuzumab can help prevent breast cancer recurrence. Hippocampal-avoidance whole-brain radiotherapy plus memantine spared cognition in a phase III study. Promising results from a small study on breast cancer support the need for more research. In this Cancer Center video, Dr. Lin, a hematologist, discusses her career in cellular therapy research. Article contributed by Cancer Education Center staff member Lonnie Fynskov, R.N. A diagnosis of cancer affects almost everyone at some point in our life, either our own health or that of someone we love. Frequently, a new cancer diagnosis comes with a lot of unsolicited, and sometimes unhelpful, advice. Despite everyone being different there are some things that seem to be universal. Everyone has the right to decide how much information they want to share about their health status. Even if you know someone has your good health as their priority, you are not obligated to share personal information or verbally respond to their suggestions. If not answering feels awkward, it’s good to have a plan that comfortably meets your needs. Some people choose to be very direct and just politely say they prefer not to talk about their diagnosis or treatment right now. Others may choose to utilize a form of social media to do a mass communication with friends and family as a way to let them know that is how they prefer to share information. Or, some people will take control of the conversation by providing a brief answer, and then change the topic by asking the other person a question. For example, “I appreciate your concern. That’s an interesting idea…And how’s your family doing?” Just like there is not only one way to respond, there is not only one right way to respond. The best technique for you is whatever you are comfortable with that achieves your desired result. These are just a couple of examples. What has worked for you in these situations? Let’s explore the concept of pain together. 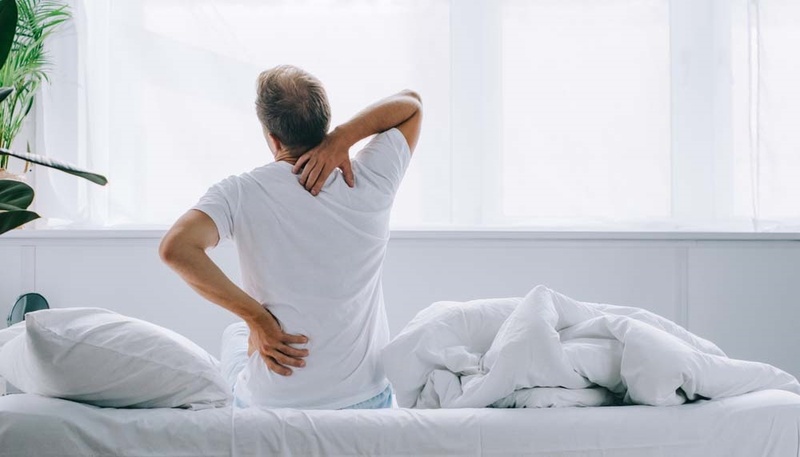 You can experience different types of pain, including pain from the cancer tumor or location of the tumor, or from side effects of treatment (radiation, surgery, and/or chemotherapy). 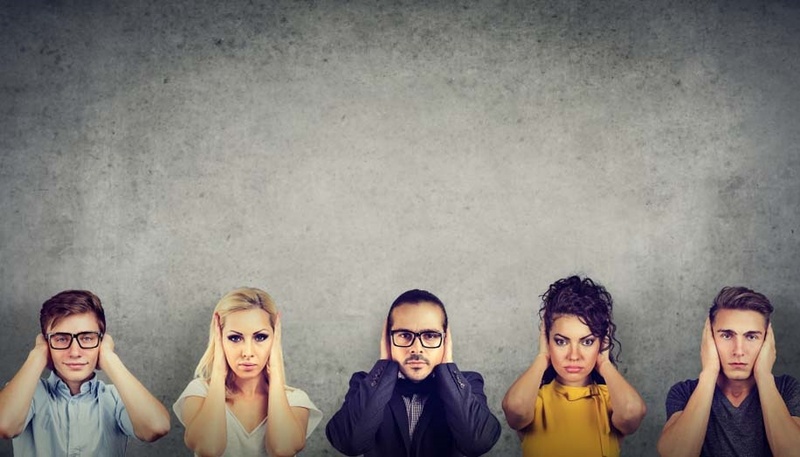 From my perspective, many people are reluctant to talk about pain with their oncologist either because they think it is something they must live with, or they do not want to “bother their doctor” with the question of pain relief. I was reading a research study in the February edition of CJON (Clinical Journal of Oncology Nursing) entitled “Artist Impact.” The study included an artist that painted in the same area that patients were receiving chemotherapy. They measured how relaxed or anxious patients were, their level of social interaction with their caregivers and other patients in the room as well as emotions they experienced. In one part of the study, the artist would talk to the patients, asking for input on her painting – what color to use, should I add a bird? In another part of the study, the artist painted while wearing headphones, not engaging with people in the room. In both instances, patients had a favorable response. As you can predict, there were more positive responses when she was speaking with people in the room. Patients reported they felt calmer and more relaxed. They enjoyed the distraction and the social interaction it created. They also said they would recommend it others. I thought this was a great idea. Art and music are proven to have calming effects on people in a wide variety of settings. Try watching a movie that has music playing in the scene, then mute it – we don’t even realize the power and enhancement of the music. We are aware of it, but much of the effect seems to happen on a subconscious level. It got me thinking about how a person could replicate this study for themselves. One idea is to bring music along to listen to, even just for part of the time. It may have a greater soothing effect than you realize. My other thought was to try something artistic – whether it be something you already enjoy at home, or going to a business that hosts art events. In the Rochester area there are a couple local businesses where a painter leads you through the process or you use a stencil to create an image. 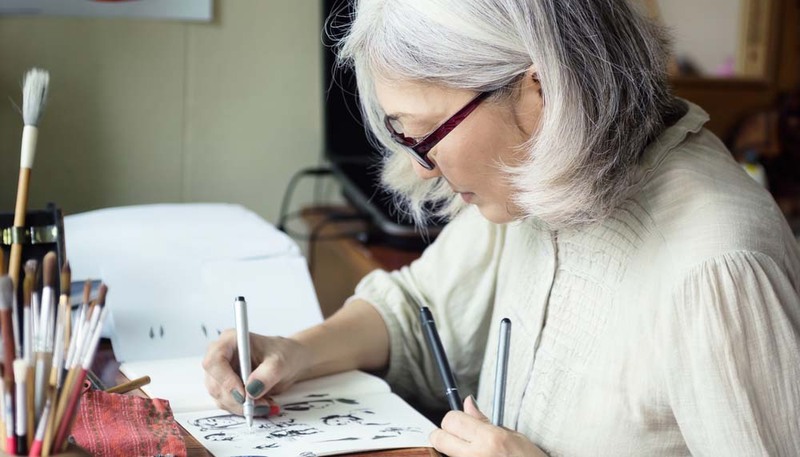 Another thing that is popular now – adult coloring. You could buy a coloring book, markers, crayons and color away! Buying new crayons evokes nostalgia for childhood – the sharpened points and the smell too. Coloring is soothing; it’s creative. You need to focus on the task at-hand, which makes it harder to think about your worries. How do you relax and what activities calm you? We can take all the encouragement we can get! Having someone to keep accountable to helps me to stay motivated! “Now why did I go in this room?” Probably we have all had those moments where our focus changes quickly and we cannot remember our reason for going to a specific location. Usually that is a signal we are attempting too many things at one time. However, for some people it may seem to be a constant way of life while going through cancer treatment. 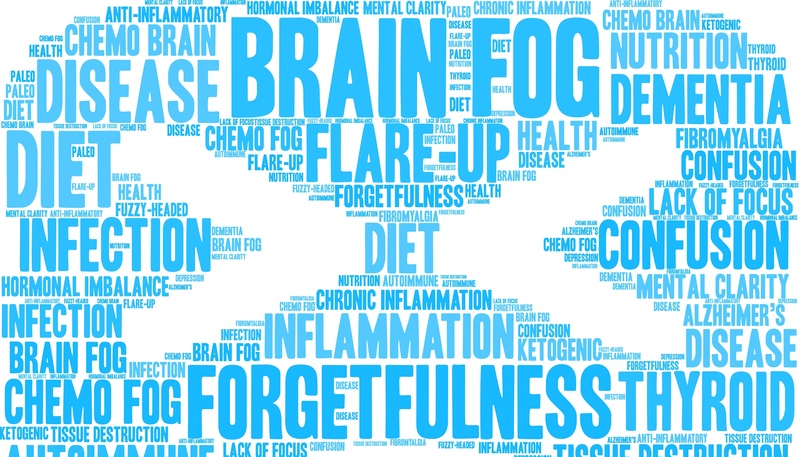 This frustrating situation is commonly referred to as “chemo brain” or “brain fog” and it refers to the mental cloudiness that is frequently experienced before, during or after treatment for cancer. There are numerous tips that can help compensate for this mental fog. Making a to do list, minimizing distractions, staying well rested are all tried and true ways to keep our brain from being over-stimulated but is there anything to prevent it? That is a challenging question because brain fog or chemo brain may have many different causes. What if there was an activity that is helpful for maintaining your brain function regardless of the cause? How do you feel when you learn that activity is exercise? For some of us, exercise was not the answer we were hoping to hear. However, the idea of protecting our brain function may just be the motivation that will get some of us moving. In 2013, the American Psychological Association, published the findings of a study that was done with adults ranging in age from 19 to 93. 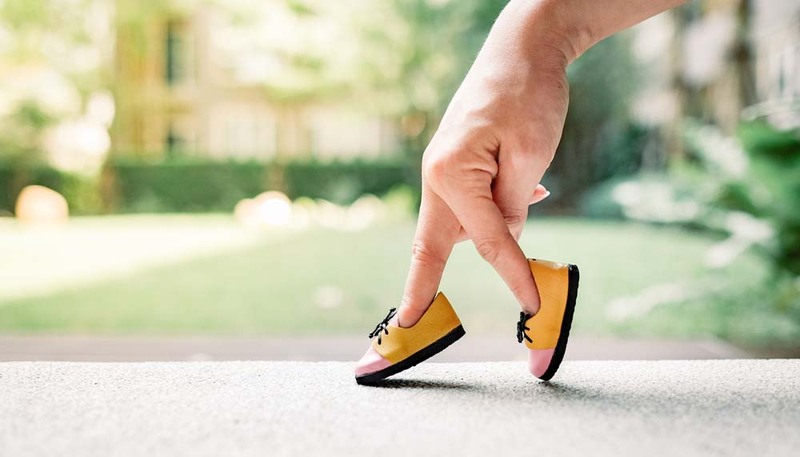 They found that as little as one 15 minute episode of exercise made a positive impact on the participants’ mood and reaction time related to working memory or brain function. This study was done with healthy participants but would it provide the same outcome with people currently experiencing or at risk for chemo brain? Even though that was not the focus on their study, perhaps it is time to be your own detective. After all this is an antidote that is usually free from side effects, free of charge and available to everyone. It seems like there is not much to lose and possibly a significant amount to gain. What has been your post-exercise experience? Exercise during cancer treatment? Can I? Should I? Maybe this is a question you have asked yourself. Patients have a variety of thoughts about exercising during treatment, which can be influenced by your activity level prior to diagnosis. Some people are accustomed to having a regular, even vigorous workout habit prior to diagnosis. Some individuals have little to no activity. You may feel like exercise is a part of your life you want to continue at your current level. You may feel inspired to add a health benefit to your lifestyle. Or be anywhere on the continuum of activity. First, let’s talk about why you should consider some kind of movement during treatment. Research supports that exercise is most often safe during active treatment, as well as beneficial for a variety of reasons. Mental – Being active gives you a sense of self-control, improves body image, combats anxiety and depression and gives you a sense of accomplishment. It also releases those feel good hormones – endorphins! Physical – Exercise helps with fatigue, weight control, nausea, protects deconditioning of your heart and lungs, and helps to maintain muscle tissue. Exercise and a healthy weight are important in reducing the risk for many cancer types. If you are a person who has an active lifestyle already, just be sure to go slow and to be gentle with yourself and expectations. If you are a person who is wanting to increase activity, start slow. Whichever camp you come from, give yourself credit for what you are doing! Don’t belittle your efforts. Cheer and encourage yourself just as you would a friend. The movement you choose to do should feel energizing. Not too much that you are completely depleted, and not so little that you can hardly tell you’ve done anything. As always, it is good to check with your doctor to see what is recommended and safe for you. You may be interested in new fitness guidelines released by the Department of Health and Human Services. The encouraging takeaway from the new guidelines is that it all adds up. All your activity, even short increments, are beneficial and count! The recommendations are for an average healthy, person and may need to be adjusted for a person receiving treatment. As always, it is good to check with your doctor to see what is recommended and safe for you. We’d love to hear what you find to be energizing movement – even the small doses!